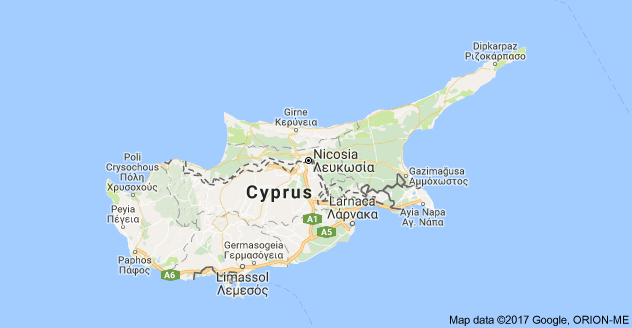 Due to its proximity to these countries and the cultures it has adopted from previous inhabitants (the Persians, Phoenicians, Romans and Greeks), Cyprus has a unique character of its own. The hospitality offered to its visitors is reputedly one of the warmest in the world. It is a complete holiday island, with something for everybody. The island boasts 340 days of sunshine each year and has a magnificent and dramatic coastline. Whether sunbathing or sightseeing is your wish you are sure to be well satisfied. The landscape is most spectacular, with rugged mountains covered in pine trees, plateaus of vineyards and banana plantations and orange and lemon groves a plenty! Historians will delight in tracing the islands 9,000 year history through well preserved archaeological sites such as Tombs of the Kings, the Kourion Amphitheatre, the Temple of Apollo to name but a few. There are several sandy beaches, some more secluded little coves, others larger, with full water sports facilities. ​Paphos is known as the cultural capital of Cyprus and is situated on the South West of the island. There is a lot to do and see in Paphos if that is your wish. St Paul's Pillar, the pre Christian Tombs of the Kings, the recently excavated house of Dionysus and the Temple of Aphrodite are amongst the many places of historical interest in and around the town of Paphos. 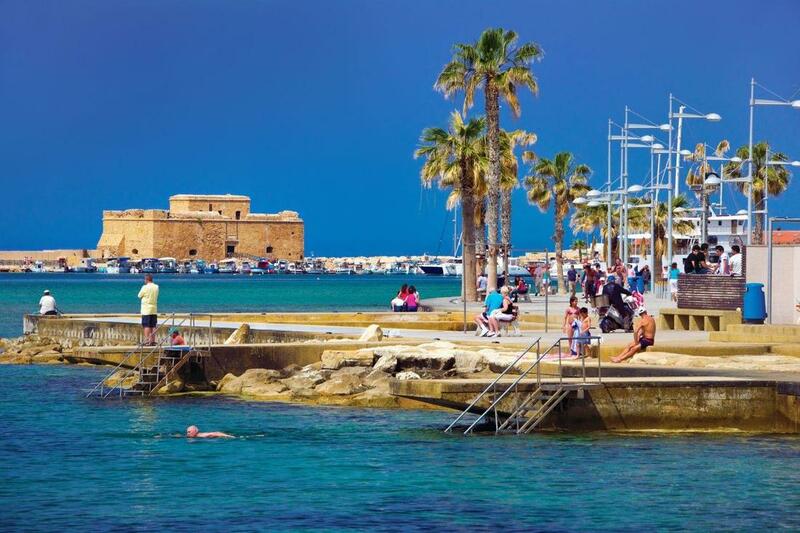 The old town of Paphos boasts tavernas, cafes and open-air fruit, meat, fish and vegetable markets. Local supermarkets stock both home grown produce and brand name items. In contrast the tourist area, known as Kato Paphos, (where most of the hotels and apartment complexes are situated) has a wealth of restaurants, bars and clubs that stretch from the pretty fishing harbour and castle all along the coastal road. If you prefer to concentrate on sun worshipping, there are plenty of beaches and tiny coves, the best beach in the area being, Coral Bay.